Following a successful career at Notre Dame, Angelo Mosca signed with Hamilton after being pursued by the Calgary Stampeders. Mosca played both offensive and defensive tackle, middle guard and end. He and future Hall of Famer John Barrow anchored the defensive line during an era when the Tiger-Cats’ defence was feared by all opponents. 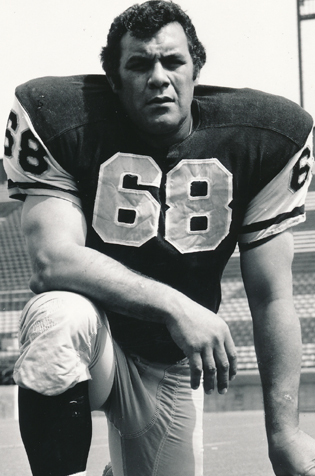 Angelo Mosca was the runner-up for the Schenley Most Outstanding Lineman award in 1963 and 1970, and is one of a select few who have played in nine Grey Cup games.